SOURCE SKY NEWS: 20% of British Workers earning 'Below Living Wage'The think tank The Resolution Foundation said it meant that a total of 4.8 million Britons, 20% of all UK employees, were paid at a level below the rate deemed necessary for a basic standard of living, an increase from 3.4 million in 2009. 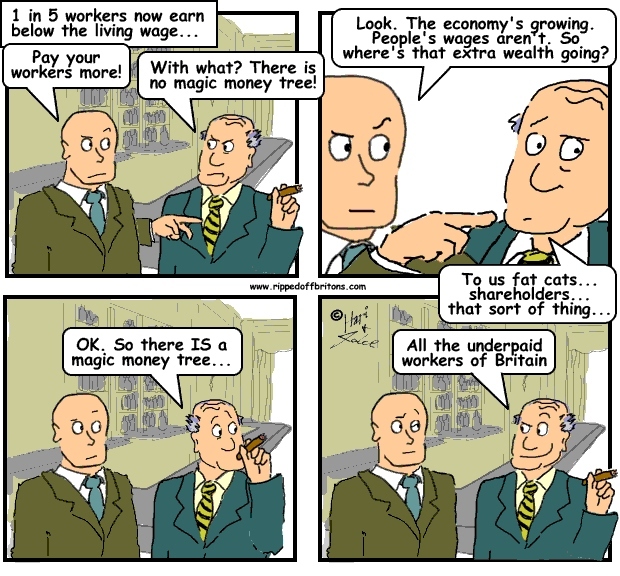 They said: "Britain has a sorry story to tell on low pay. Only a handful of our close competitors do worse and the large majority have much lower rates of low pay - sometimes half as much."